Hey guys! I've been working on this project for about a month now, but between school and everything it could have been completed faster. I'll go through what I did to make them and hopefully update this post with the final implementation before next week. 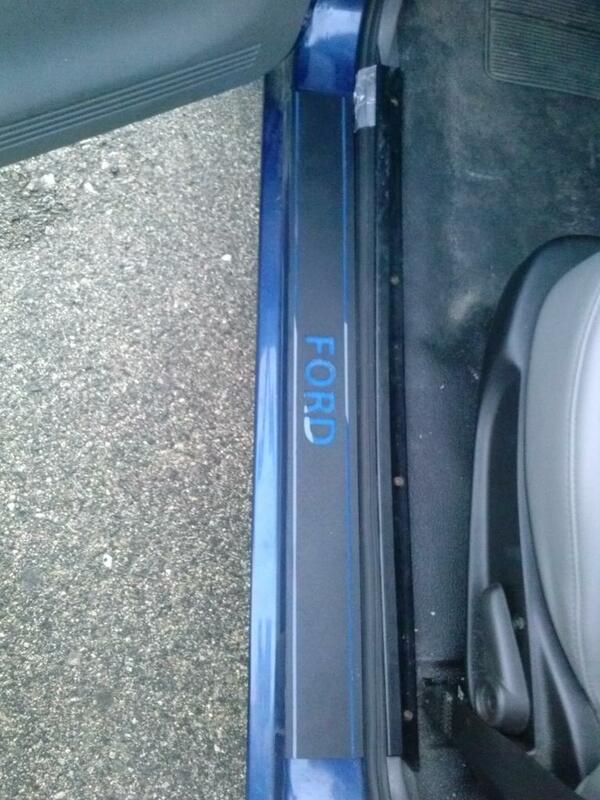 Anyway, I got tired of the plain plastic door sills to my '09 Ranger, so I decided to do something about it. 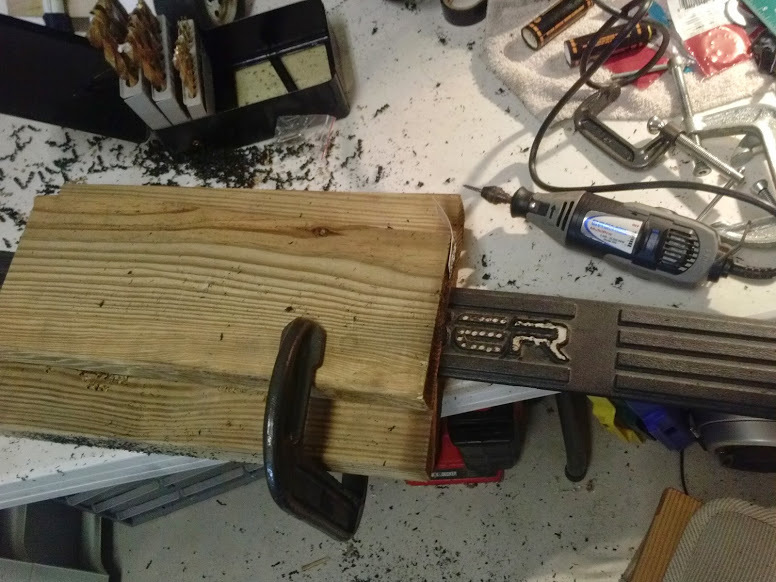 No manufacture sells anything like I had in mind, so I thought it would be a fun project to undertake. 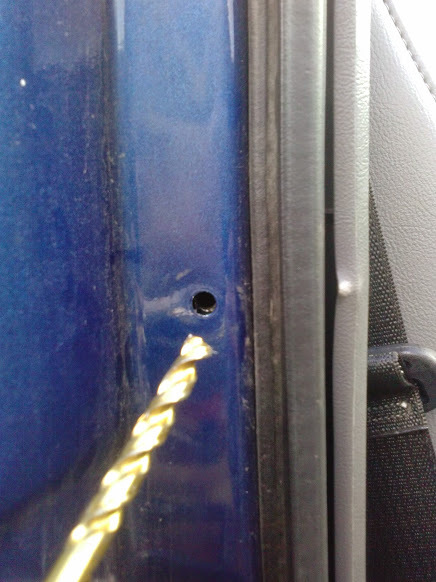 The idea is to use the gap between the door and the sills to place LEDs under the cut 'Ranger' sills and connect them to the interior lighting fuse with a fuse tap, so when the door is opened (activating the dome light) the door sills are illuminated to spell Ranger in bright blue splendor. 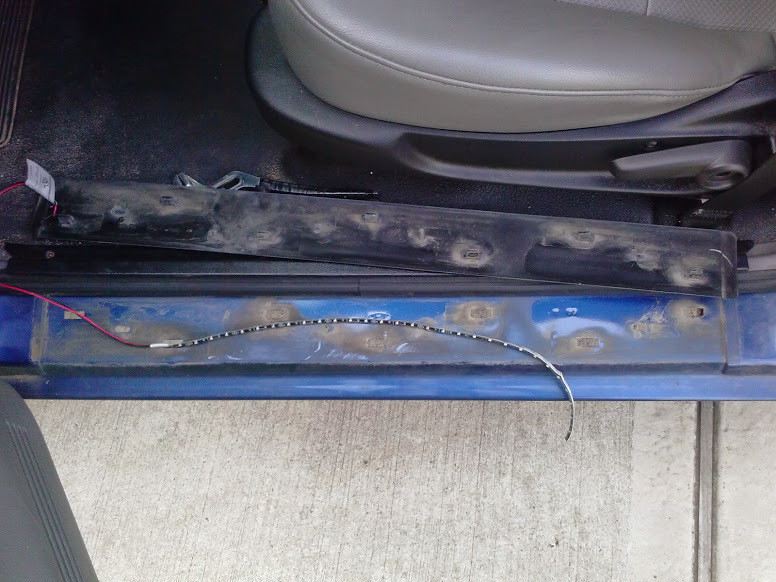 The LEDs would be protected from being crushed by 'bridge' pieces of plexiglass, which in turn are glued to a piece of plexiglass the exact dimensions of the door sill (30" x 3") and painted blue to diffuse the light. That was the idea, anyway. 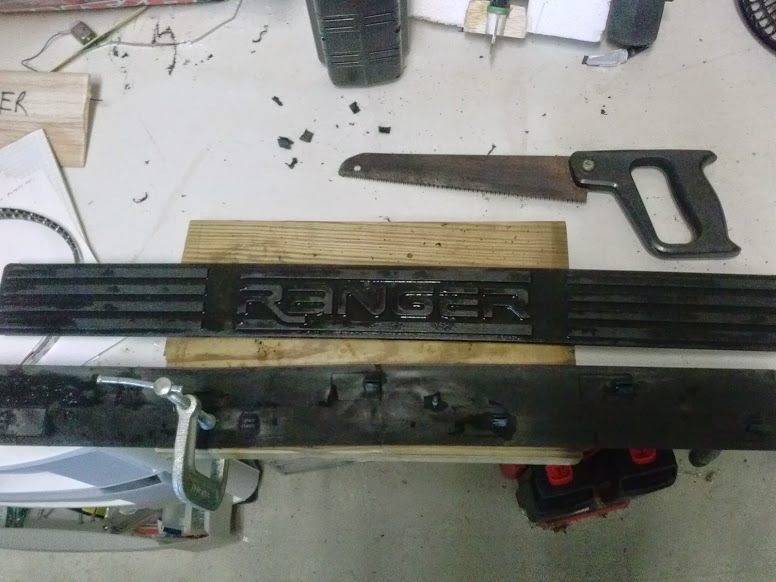 At this point in the project (trying to fit the manufactured door sills into the truck), I have found out that there is not enough space to close the door The new plan is to take the bridge pieces off and just keep the Ranger sill glued to the plexiglass, and mount the lights under the original door sill clamp holes. Confusing, I know. Let me try to better explain with pictures. 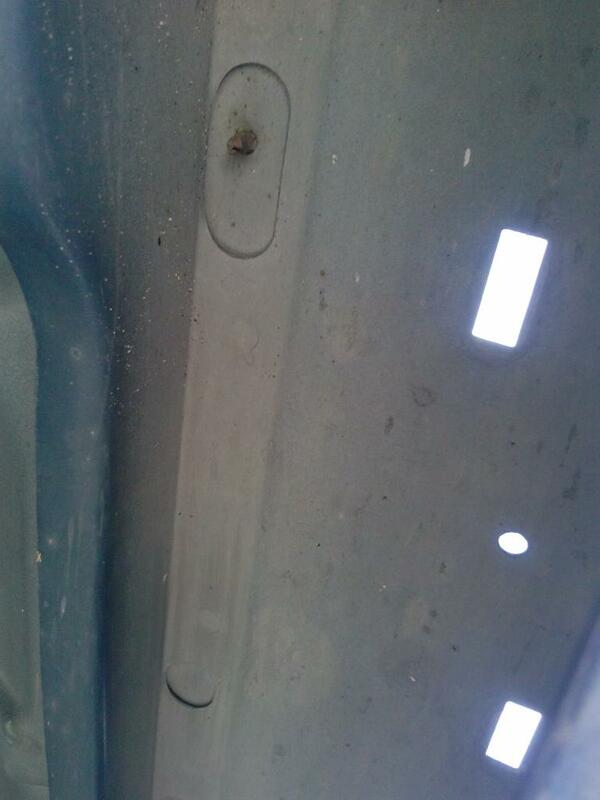 The first step was to remove the door sills by unclipping them from underneath the truck. 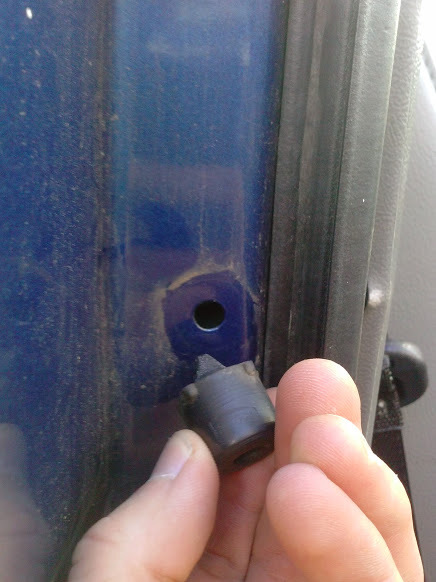 Then, after a gut check on my willingness to go through with it, I cut off the plastic clips and nubs that are underneath the truck. 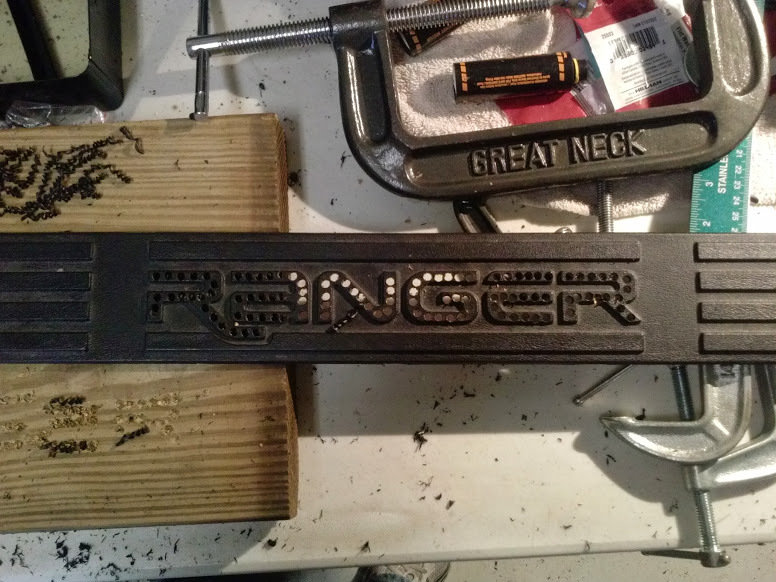 Next, using a Dremel tool, I began to cut into the lettering of the 'Ranger' plastic. 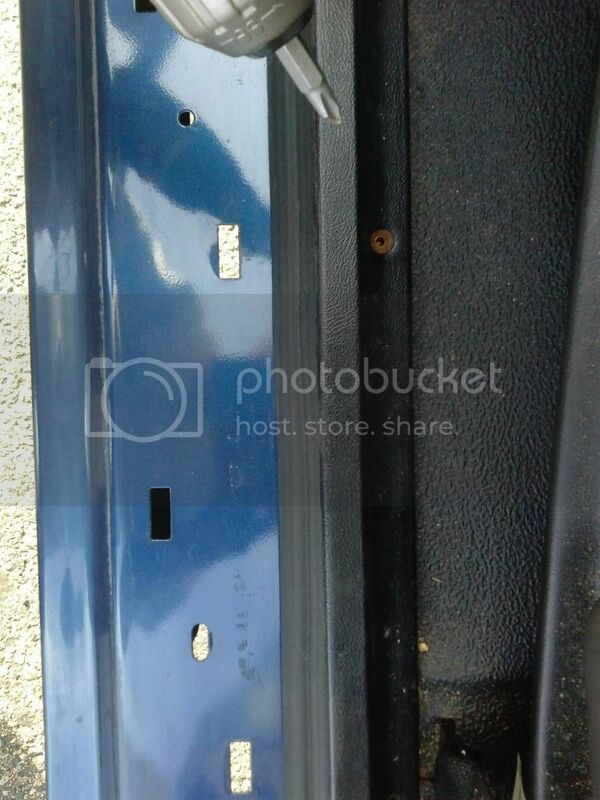 After the holes were made in the lettering, I finished the job by drilling out the plastic between the holes. 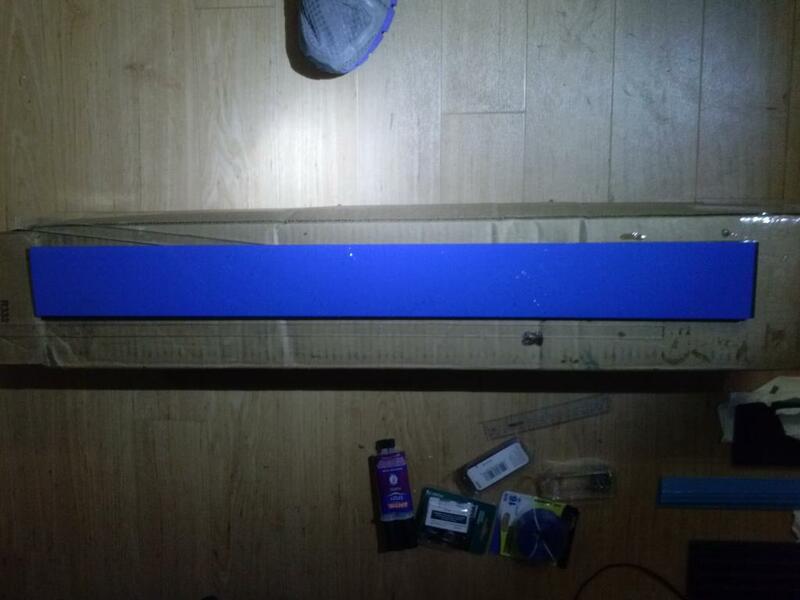 Next, I purchased the plexiglass (25 mm thick), cut it to length, and spray-painted one side blue. 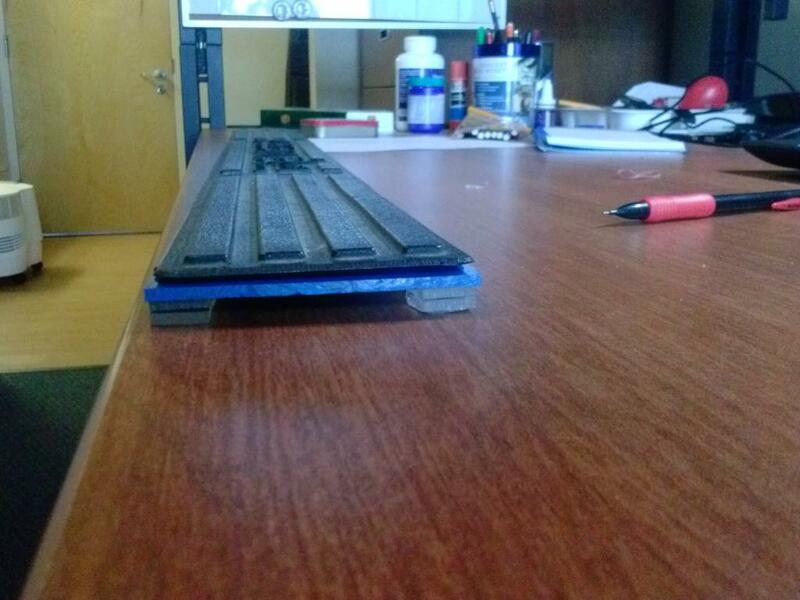 The final step in the construction process was to epoxy (translucent yellow for plastics) the bridge pieces, the blue-painted plexiglass, and the bored-out sill all together. 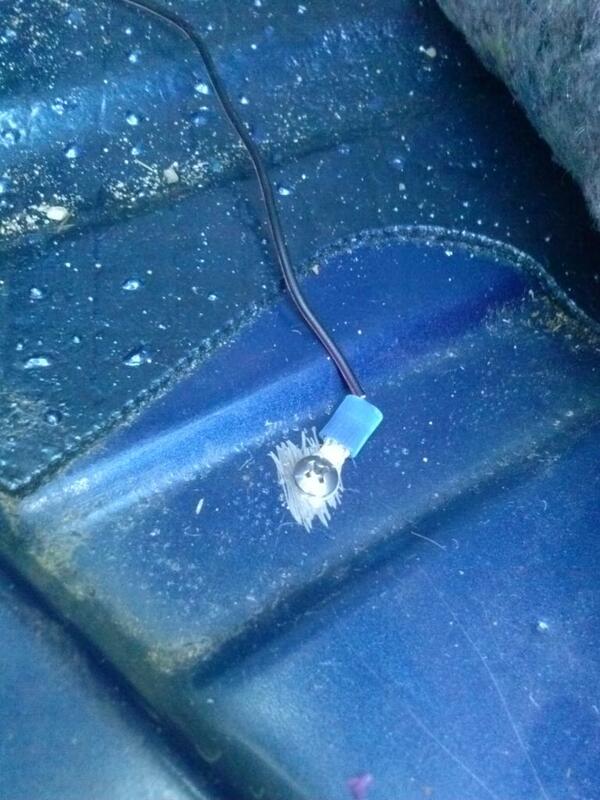 I am currently trying to install these in my truck. 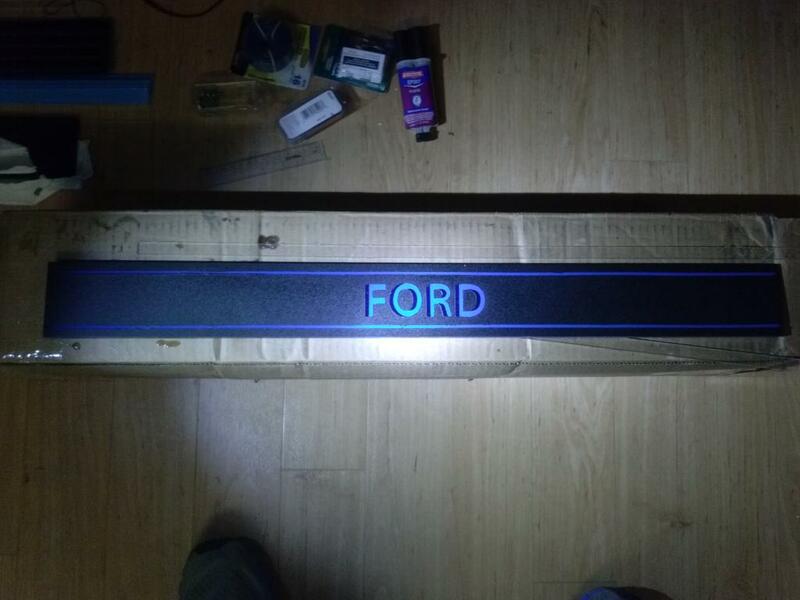 I had another idea for completely custom door sills that light up the word 'FORD' when the door is opened. 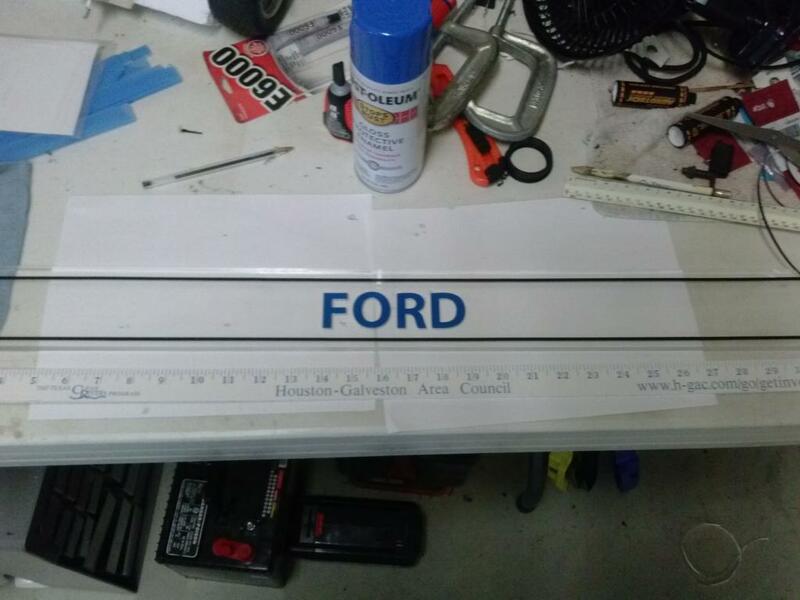 First, I bought some thicker (90 mm) plexiglass, generic letter stickers, pin stripe tape, and a can of spray-on grip tape. You can guess where this is going. I plan to have these two sets (of course I only showed one sill in the pictures) interchangeable in my truck so I can swap them out whenever I want. Thanks for reading! 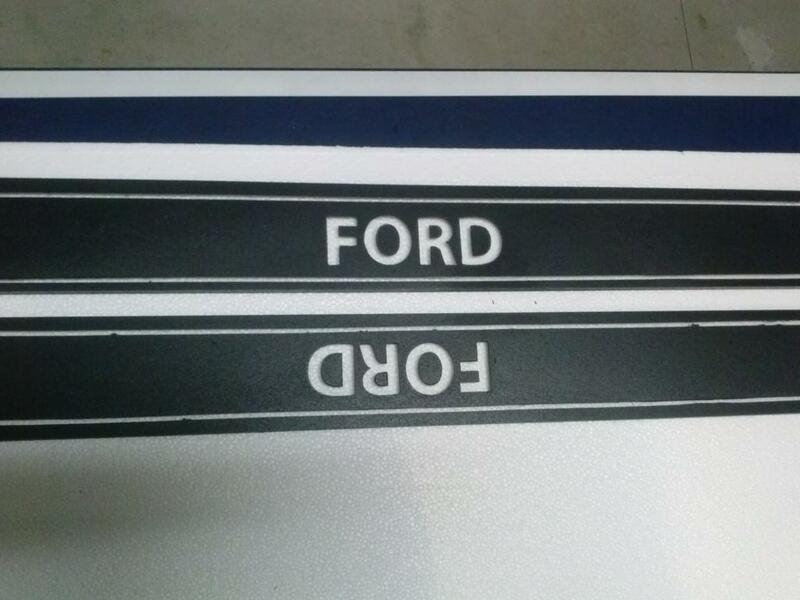 I'll update this post as soon as I get them installed! 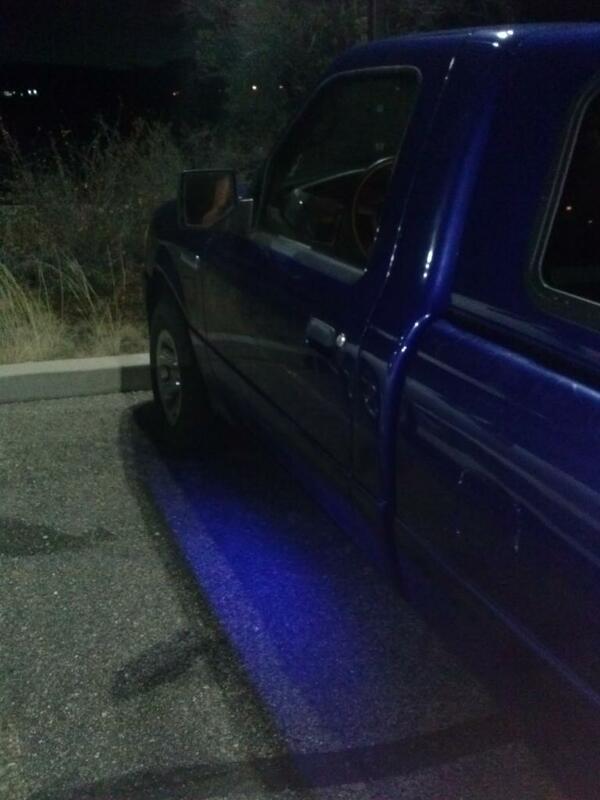 Obviously my intention wasn't underglow, so I have some tweaking to do. Also I could use some advice on where the dome light switch is that turns off the light when the door closes, and how to tap into it. 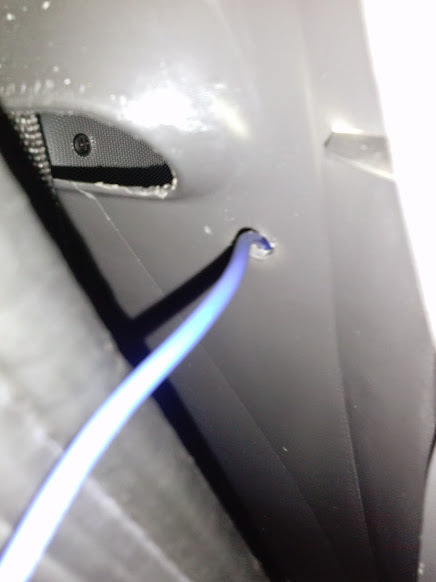 I tried to find the dome light switch wire so the LEDs will turn off when the dome light does. 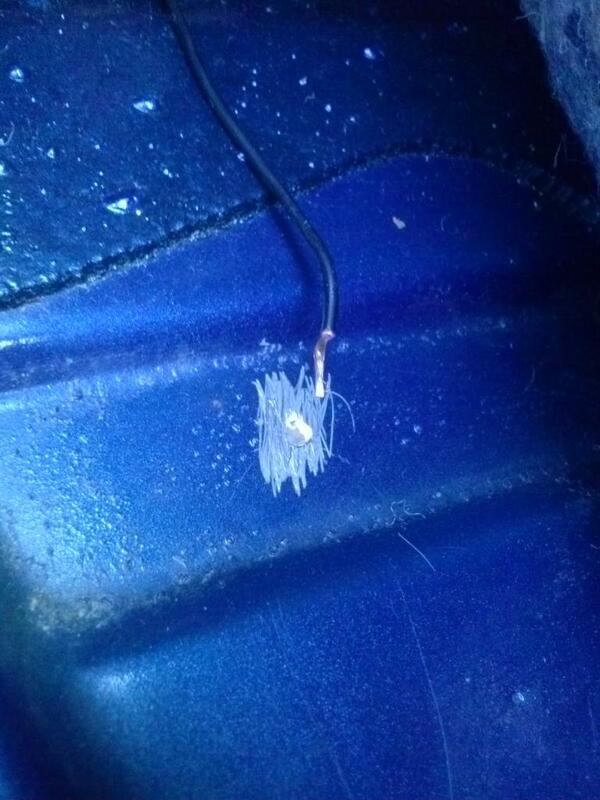 I pried off the dome light to see the color of the wire so I could find it in the fuse box. 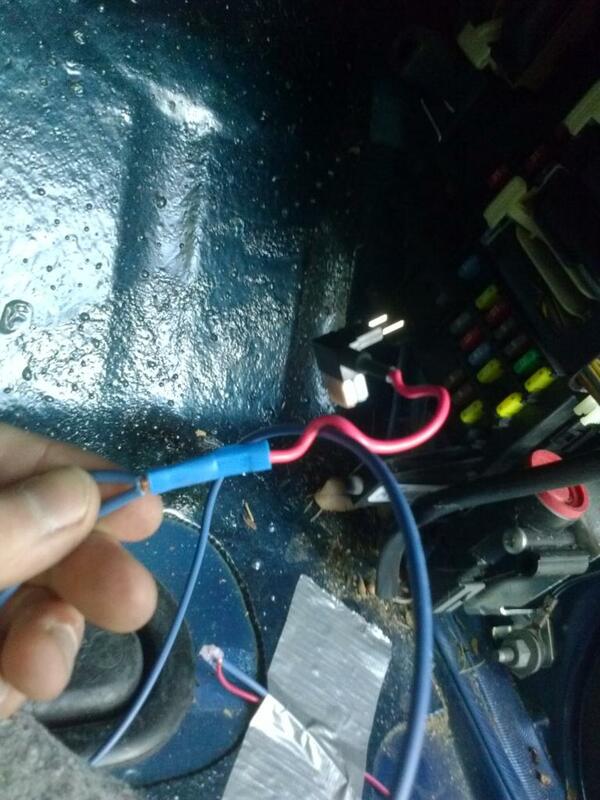 I cut four different wires (all the same color combo of LT GRN/PRPL) to see which one disconnected the dome light circuit. Of course, none of them did. I got discouraged and quit on it. 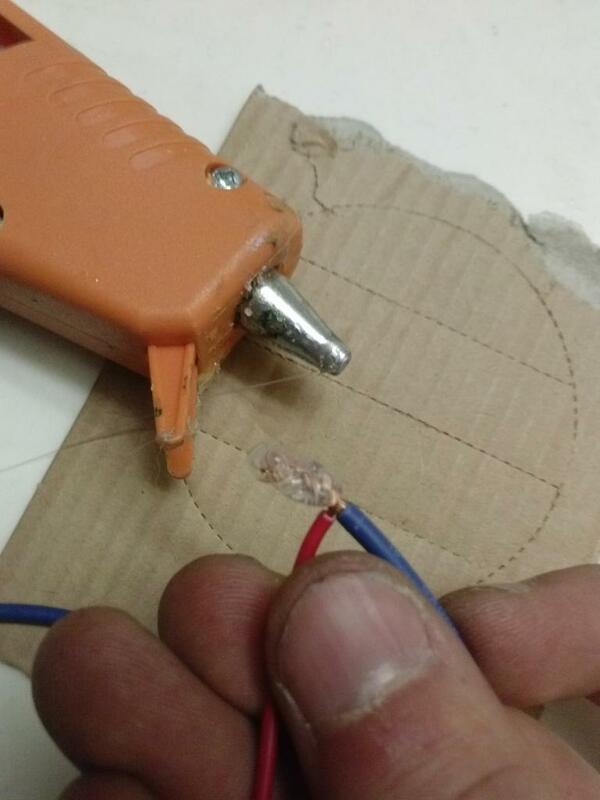 I don't know of a way to test a wire for being 'hot' without cutting it. Anyway, I'll try again tomorrow. Sounds like a cool mod, but the pics don't seem to be loading. Still no pics for me. I've been considering doing something very similar to this, but just haven't got around to it. Hope it works out well for you. There are non-contact voltage detectors you can get. Harbor Freight has them cheap. I'M DONE!! Well, mostly. The pin switches worked like a charm. 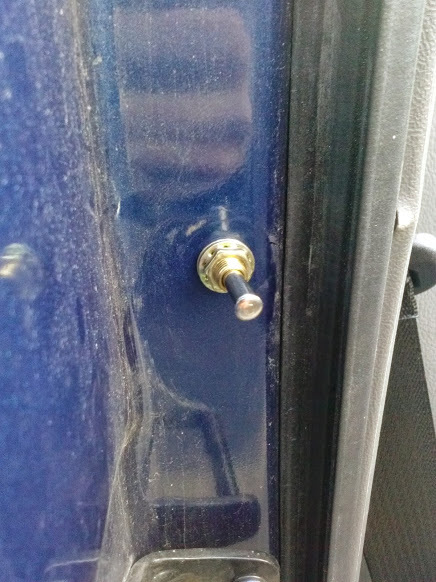 To install them, I took out the rubber door stop on each door and drilled a 1/4" hole through both the metal and the plastic. 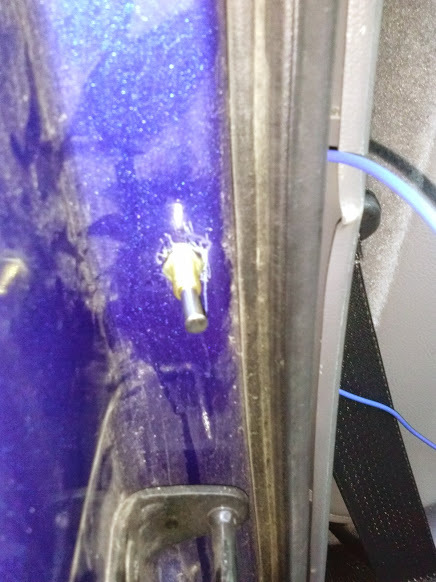 I initially didn't want to drill through the plastic, but the switch travel required me to. 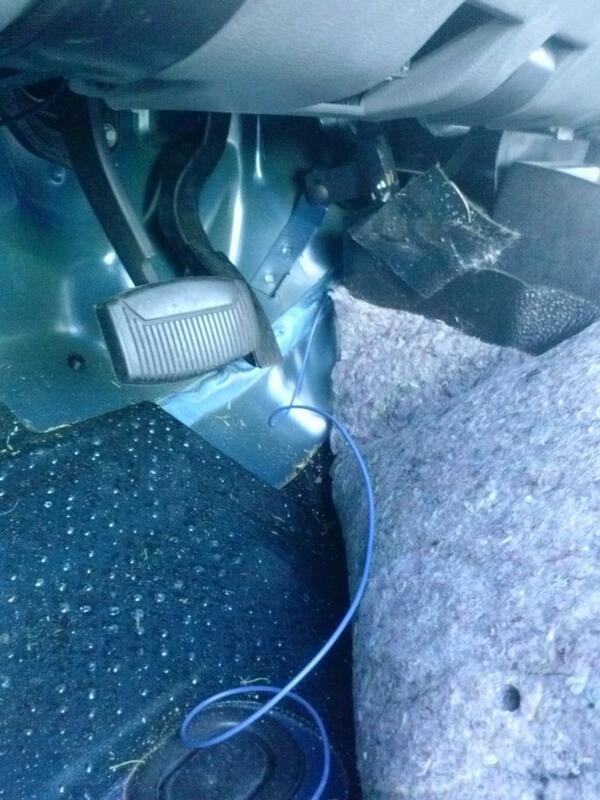 Install pics are below. Now the easy part! 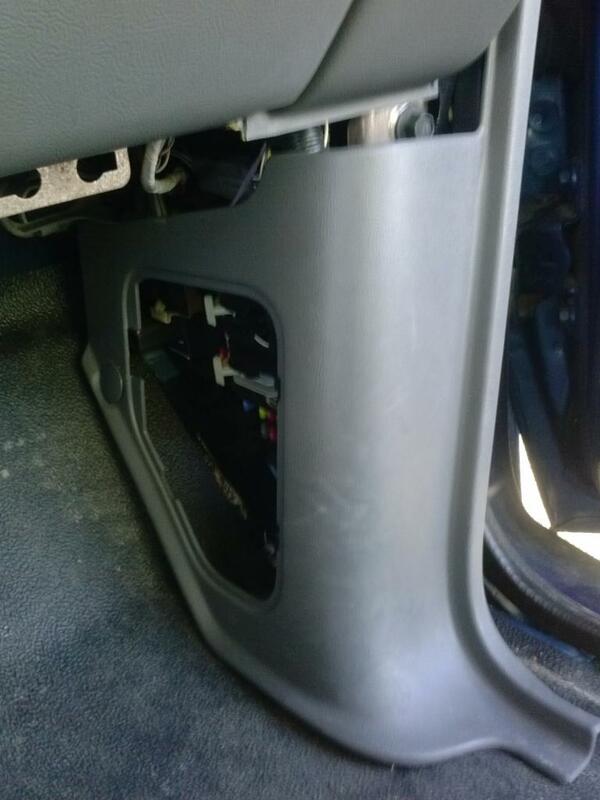 I'll probably use Velcro to interchange the door sill sets. I'll upload them here when I get a chance. 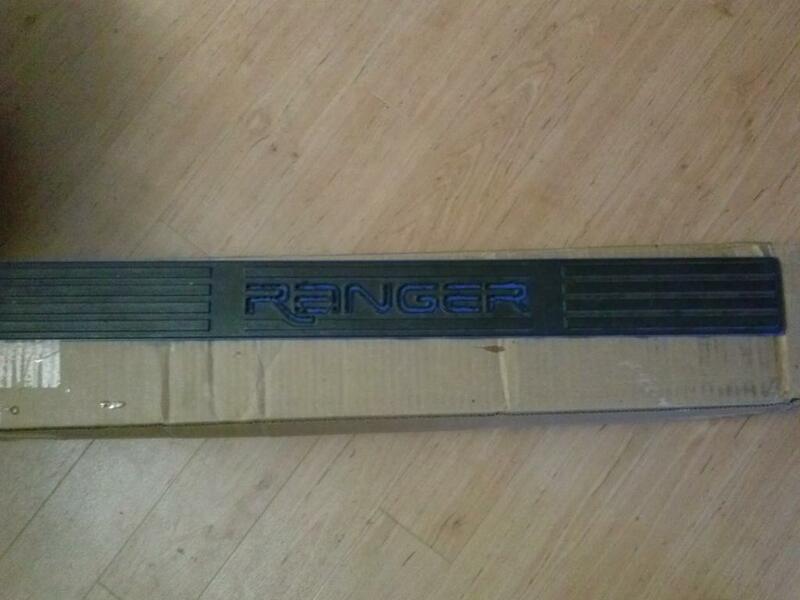 Where to find Billet "Ranger" Door Sills? 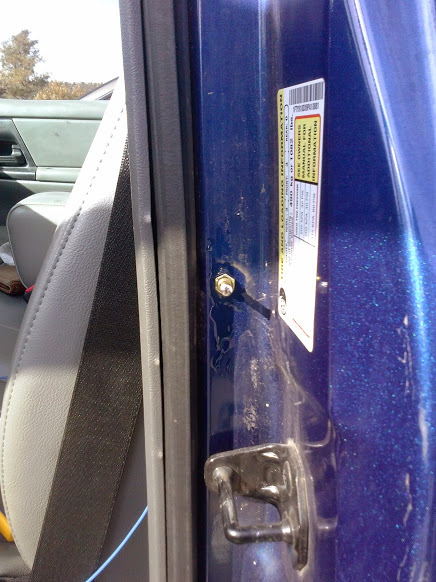 How do you remove the Door Sills?